Last weekend’s (Oct. 26-28) box office played out mostly as expected with a repeat of the top four films, led by Universal Pictures and Blumhouse’s Halloween, which took in $31.42 million. The biggest news, however, might be that this month is the highest grossing October of all-time with earnings topping $785 million with three days left in the month. Halloween fell 58.7 percent its second weekend, bringing its total domestic earnings to $126.08 in 10 days on a reported $10 million production budget. 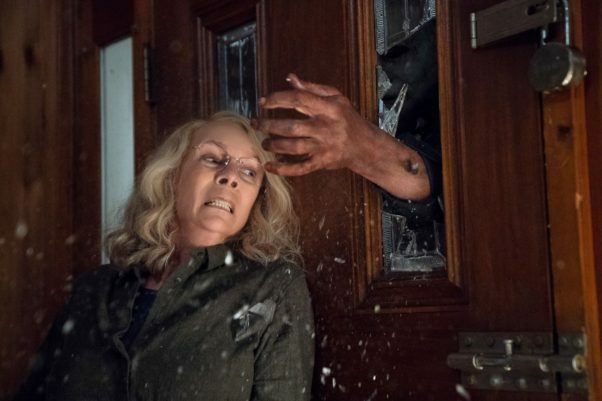 Halloween was also the top film internationally, bringing in more than $25.6 million from 62 markets for an international total that now stands at $45.6 million with a total gross topping $172 million. Warner Bros. Pictures’ A Star is Born repeated in second place with $14.04 million, a slip of just 26.3 percent. That brings its North American total to $148.61 million after four weekends. Sony Pictures’ Venom finished in third place again with $10.65 million, a fall of 41.0 percent. Its domestic total now stands at $187.13 million also after four weekends. And Sony’s Goosebumps 2: Haunted Halloween dropped 25.1 percent to $7.28 million to repeat in fourth place. Its North American total stands at $38.13 million after three weekends. 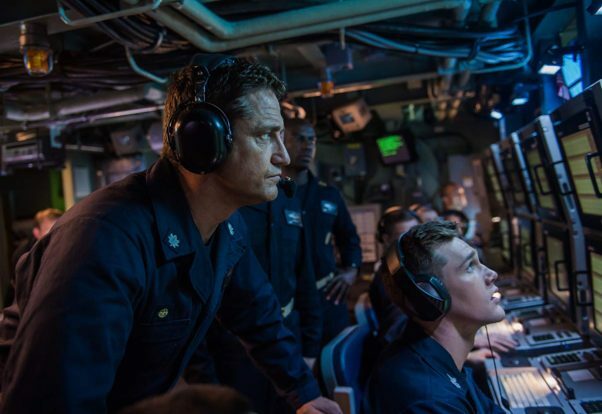 Debuting in fifth place was Lionsgate Films/Summit Entertainment’s Hunter Killer, which fell short of expectations, earning $6.65 million. The action thriller starring Gerard Butler, Gary Oldman and Common received good reviews from opening weekend audiences that were 55 percent male and 93 percent 25 or older. Finishing in sixth place was 20th Century Fox’s The Hate U Give with $5.10 million, down 32.9 percent for a four-weekend domestic total of $18.30 million. Seventh place went to Universal Pictures’ First Man, which brought in $4.87 million, a fall of 41.5 percent, bringing its domestic earnings to $37.81 million after three weekends. Warner Bros. Smallfoot followed in eighth place with $4.76 million, a drop of 27.7 percent, bringing it North American total to $72.60 million after five weekends. And Universal’s Night School finished in ninth place with $3.24 million, down 33.75 percent, for a five weekend domestic total of $68.70 million. Rounding out the top 10 was A24’s coming-of-age drama Mid90s, which took in $2.98 million after expanding into 1,206 theaters from a debut in four the previous weekend. Its 10-day domestic total stands at $3.33 million. Debuting outside the top 10, Universal’s Johnny English Strikes Again brought in $1.64 million from 544 theaters. The third film in the Johnny English franchise played to an audience that was 57 percent male and 59 percent aged 25 or older. Internationally, it added another $7.1 million bringing its global earnings to a hearty $109.3 million after debuting overseas back in mid-September. The film has already topped the lifetime gross of 2011’s Johnny English Reborn and 2003’s Johnny English. Right behind was the debut of Pure Flix’s Indivisible with $1.50 million from 830 locations. Indivisible received excellent ratings from audiences while playing to a crowd that was 55 percent female with 68 percent aged 35 years or older. Opening next weekend is 20th Century Fox’s biopic Bohemian Rhapsody, Tyler Perry’s Nobody’s Fool starring Tiffany Haddish and Disney’s release of The Nutcracker and the Four Realms. The top 10 films last weekend grossed $90.99 million. That is 41.7 percent below the previous weekend’s $155.98 million total. However, it is 57.2 percent ahead of the $57.90 million earned on the same weekend last year, when Jigsaw led with $16.64 million. Total box office year-to-date stands at $9.68 billion. That is 11.3 percent ahead of last year.